'Heartening, if not surprising,' that so many backing local causes says Federation of Small Businesses. 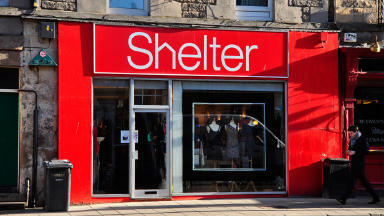 Two-thirds of small businesses supported charities last year despite the economic crisis, according to industry figures. One-third of all businesses gave a product, a sixth donated some business time and around two out of five made a cash contribution, according to a survey of around 270 firms by the Federation of Small Businesses. Over half gave to causes or projects which benefited their local community and a little under half gave to a national or international cause. Andy Willox, FSB Scottish policy convener, said: "These figures underline that, despite difficult trading conditions and money being tight, Scotland's small businesses continue to give what they can to causes in which they believe. "Unlike some other types of organisations, our charity work isn't the first thing to go when times are tough. Without any fanfare or glossy brochures, our small businesses just get on with it. "We've always known that many small businesses are rooted in their communities in which they trade and from where their workforce is drawn. 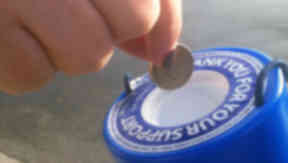 It is heartening, if not surprising, to see so many also choosing to donate to a cause which matters locally."